Betta Breeders Online is currently hard at work updating and revamping our site and online presence but will return mid-December of 2017, with our extensive range of show quality bettas! We appreciate your patronage over the last 20 years online, and promise we will be back and better than ever. 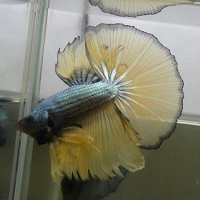 As one of America's best online sources for show bettas we have been operating here at this site continuously since 1997 and promise you will love what to have to offer. 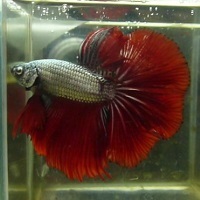 If you're not already familiar with what we offer, we specialize in novelty bettas and more recently show guppies. 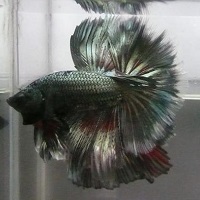 Betta lines include dragons (dragonscale), monster bettas, super opaque whites, opaque blacks (orchids and melanos), marbles, grizzles, metallics, mustard gas, oranges, yellows, pastels, dalmations, tigers, and art bettas in mostly halfmoons (HM), over halfmoons (OHM), crowntails, combtails, and dumbo finned specimens. 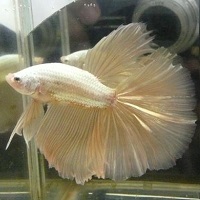 Our guppy lines are primarily focused on developing very rare double swords and lower swords with an occasional surprise! We also plan to offer a small selection of freshwater dwarf shrimp including black king kongs, blue bolts, blue pandas, black pandas, and SSS grade crystal white shrimp. The majority of our breeding stock originates from Asian blood lines and we regularly import top quality specimens to ensure healthy blood lines. Please check back soon as we work to bring the new e-commerce enabled site back online. We thank you for your continued support.